CQUniversity is a young university but in almost 25 years has been able to achieve outstanding things and is now emerging as one of Australia’s truly great universities. As one of Australia’s largest regional universities, CQUniversity has the most extensive geographical footprint of any university in the country, with more than 20 physical delivery sites across mainland Australia. 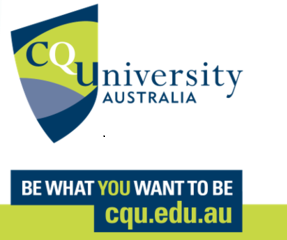 CQUniversity is also well regarded in Australia as the nation’s most inclusive and engaged university, with its award-winning academic and research staff making a real impact on the communities and industries it serves. Internationally, CQUniversity’s commitment to diversity, inclusivity and collaboration has led to it being recognised among the world’s leading universities by both the prestigious Times Higher Education World University Rankings and the QS World University rankings system. The Tannum Crab Classic is an annual event which raises much needed funds for local families who have a child with a disability in need of equipment, as well as raising awareness of men’s mental health and suicide prevention. The weekend consists of a men’s only camp for about 50 men at Lillie’s Beach. It’s a chance for men to get some quality bloke time and chew the fat – and catch the crabs for the competition! Departur ePoint is fully accredited travel agency and its consultants specialise in leisure and corporate travel management for both your domestic and international travel needs. With its proven track record with airline savings exceeding 60% and its personal approach to delivering a travel solution tailored for you, the DeparturePoint team is on hand ready to assist you with all of your needs. “Dream, explore and discover” and let DeparturePoint help you go on a journey to new and unique experiences. Active Training Specialists (ATS) is a registered training organisation, providing specialist training and assessment services throughout Australia in Training and Assessment, Business Administration, Leadership and Management and Rail, complying with the national Vocational Education and Training standards. ATS also prides itself on developing customised training programs to meet the goals and needs of individual companies and organisations. ATS has extensive experience in change management, innovation and business development, team work and workplace communications.